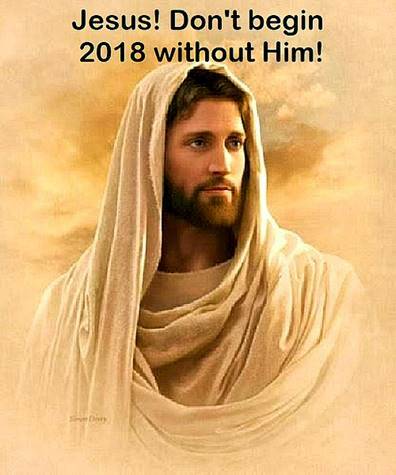 If you’re like me you’re looking forward for the ending of 2017, I am suggesting 2017 was a bad year or a good year, it is what it is, but it isn’t what 2018 will be! While it is true there are always carryovers from one year to the next there are no carbon copy years. With each new year come new and exciting possibilities, new challenges. There will be gains and losses. There will be open and closed doors. There will be those who begin 2018 will not see it come to an end. And throughout every moment God will be here for us! The LORD in Joshua gives us a command to be strong and courageous because He is with us. With 2018 beginning I will be starting my 15th year of writing and producing Glory Seed Devotionals I have been trying to think of a Yearly Theme that not only illustrates why it is important do continue to deepen our personal relationship with Jesus. I have come up with a Theme that expresses what I will be attempting to do – “2018 Prelude to Life” based on the following scripture. “Jesus told him, “I am the way, the truth, and the life. No one can come to the Father except through me.” (John 14:6, NLT) I would like to take a little time for saying thank you to each one of you for following the Glory Seeds and my Glory Seed Blog. Since my physical world has shrunken over the past year I have turned to my laptop computer and internet to fulfill the promises I made to Jesus to tell his story to as many people as I possibly can, thank you for your prayers and support. I know as we move through 2018 we will find the Life Jesus is willing to give us not because of anything I write or do but because Jesus sends us the Holy Spirit as our constant companion. Thank you again and may you find Success and Life in 2018! My carry over from 2017 is that life and success only He gives. In fact it will carry me over even into eternity. What a wonderful God we have.